Over the past year I’ve come across plenty of posh coffee tables on Pinterest and couldn’t help but be inspired. 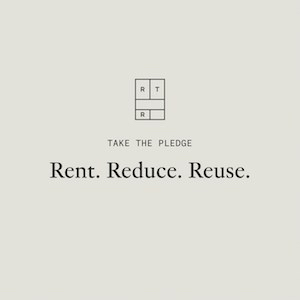 At the moment our apartment (& budget) is modest, but I strongly believe that you can do a lot with just a little. 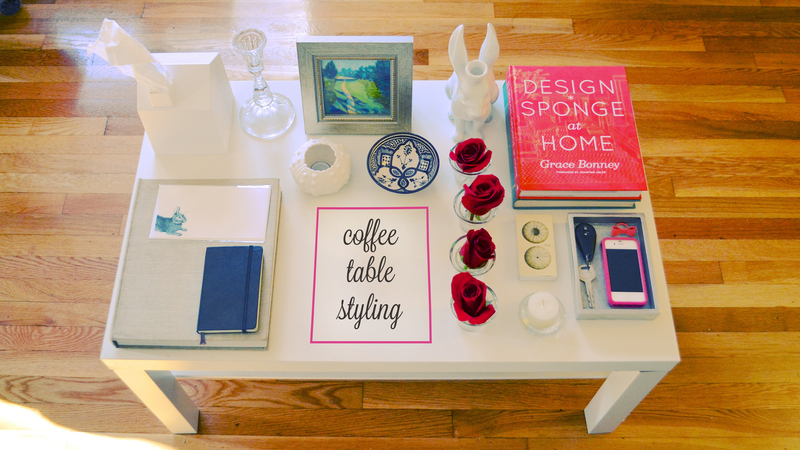 Living in a small space, every square inch counts and the coffee table is a focal point. It becomes extra important to style every space. Books: It’s nice to stack a couple favorite books and magazines that guests can flip through. Flowers: Having a vase of flowers is so cheery. I had a bouquet of red roses from my anniversary that I trimmed down and put in individual holders. Tray: A tray is handy to hold functional items. I found a nice 5″ x 7″ heavy silver tray that I always place my phone and keys in whenever I get home. I always know right where they are! Trinkets: What would a coffee table be without some purely decorative and non-functional items? 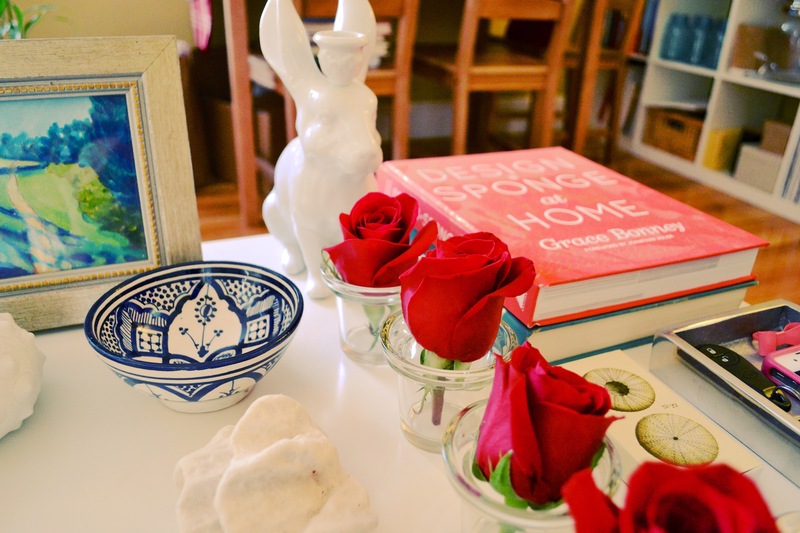 I fell in love with the white rabbit candle holder at Anthropologie last year and bought a pair. The great thing about this table is that there’s a nice storage shelf below. These wire baskets were a find from Brimfield Antique Show this past September. They fit nicely on the shelf and are the perfect size for holding magazines. If you’re interested in copping my style here’s where you can find the items on my table (excluding the thrifted and vintage finds, of course). I’m quite happy with my little table, but that doesn’t mean a girl can’t dream! Right now I have two “wish list” coffee table items on my radar. The first and totally frivolous item is the Gold Wishbone from Jayson Home. The second is an upgrade to my tray. I love the small silver tray I have, but I would love to upgrade to something larger and punchier in the future. Right now I have my eye on the Mint Flamingo Lucite Tray by Parker & Rain. I love the row of roses and those Brimfield baskets! !